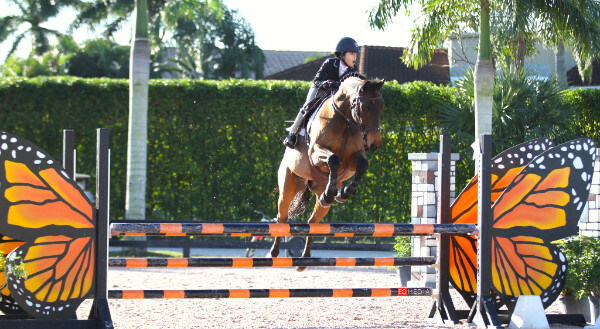 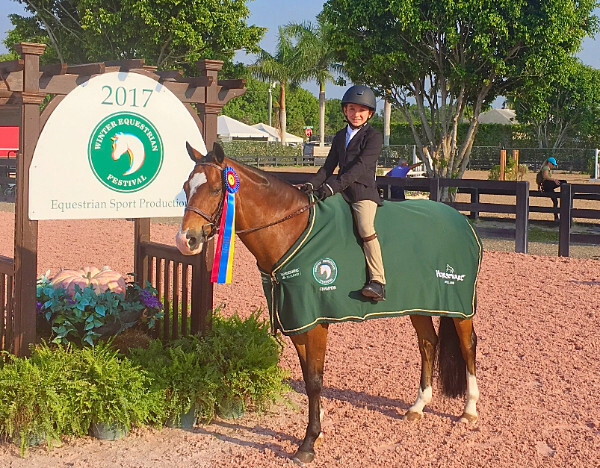 Her younger sister, Elodie Watrous was champion of the USHJA 2’ Hunters during the first week with Beaverwood’s Foxberry. 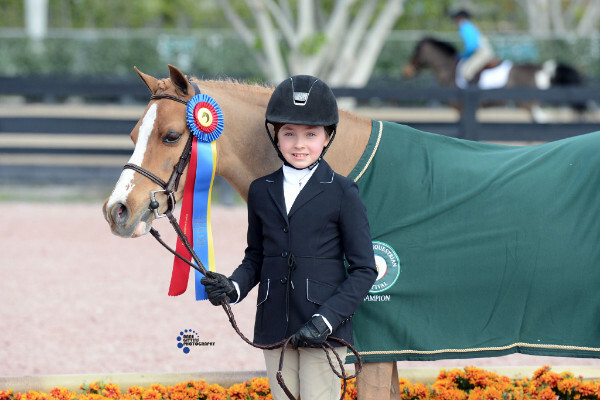 The judges took notice of Elodie in the Small/Medium Children’s Pony Hunters with “Foxy” and “Hershey” (Crystal Acres Chocolatier) and pinned them with great prizes. 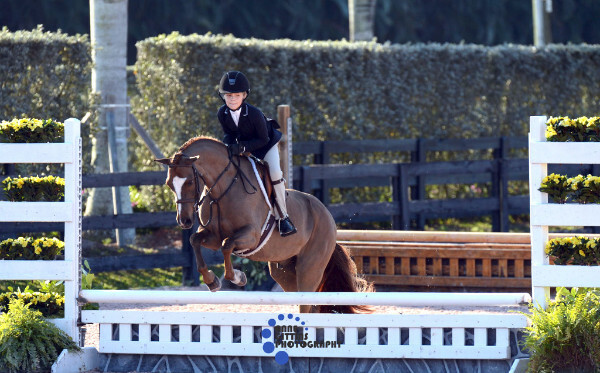 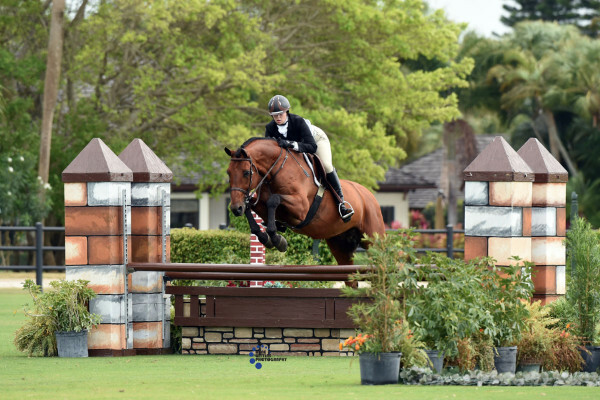 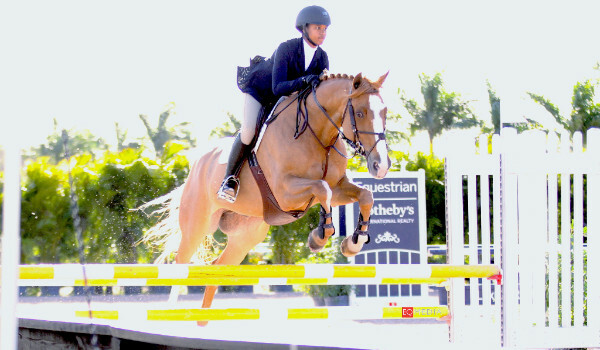 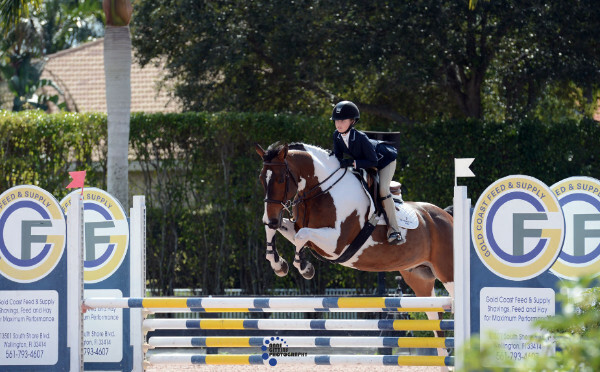 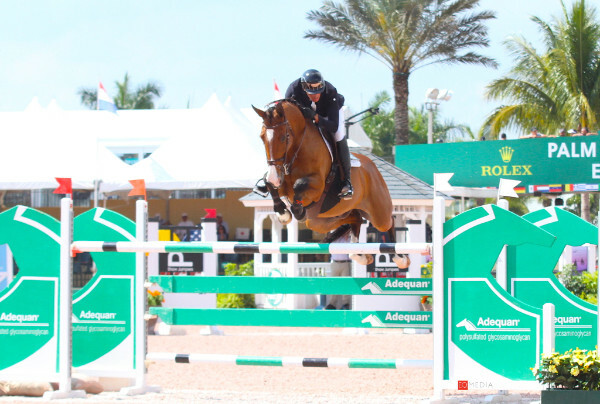 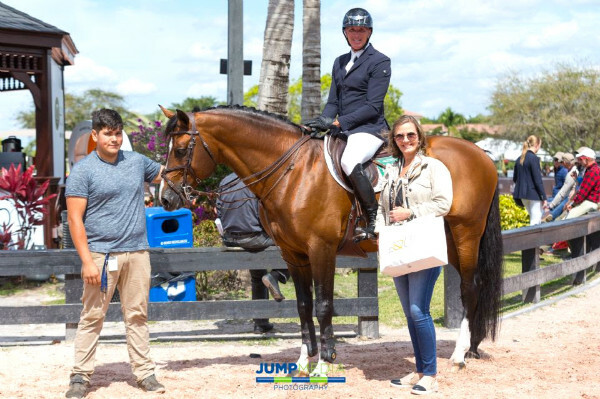 Elodie returned in Week II to nab the reserve championship of the division and, with Foxy, the team were champions of the USHJA Hunter 2’ during Week WEF IV and finished in the top 10 of the division. 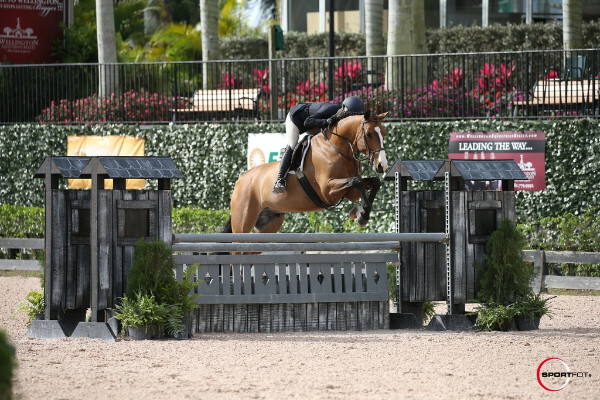 Matthew Scharbo and Who’s the Man. 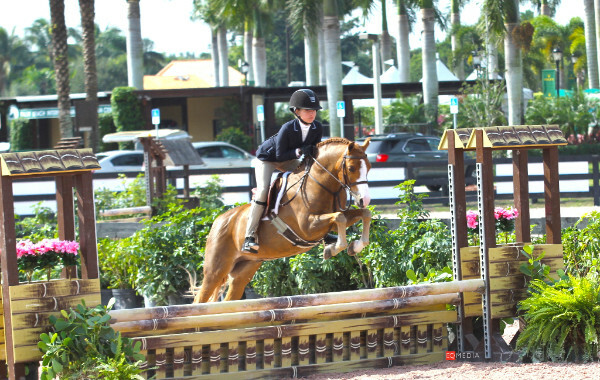 Photo courtesy of Messenger Hill Farm.